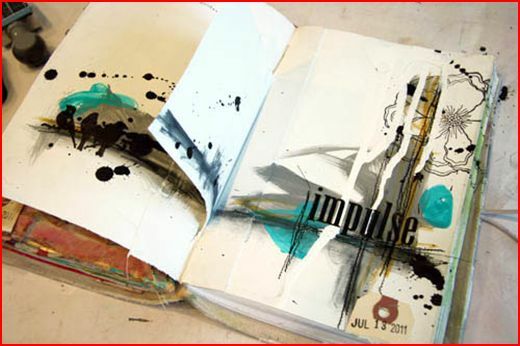 Donna Downey is one of my favorite mixed media artist! I love how she incorporates stamping into a lot of her art. In a recent video she shares her process for one of her art journaling pages that includes lots of paint and rubber stamps, the result is stunning!